OK, so what is InboxPounds About: Everything You Need to Know! We are all looking for ways to earn a little extra money and the Internet is the number one “go to” place so what is InboxPounds About and is it a place to “go to” and worthy of your time? The Internet is heading towards 4,000,000,000 (that’s 4 Billion) users and slowing down for nobody. Is it no wonder that everybody is looking for ways to make some extra money online? As you will have noticed the Internet isn’t short of make money opportunities and as you probably already know survey sites are one of the most popular. In this InboxPounds review, I show you everything that you would need to know in order to make the right decision, so let’s get right into it. Summary: Surveys and taking part in other activities. Recommended: NO – Only because you have to spend far too much time, for very little reward. How Much Can I Make with InboxPounds? How Does InboxPounds Pay You? What is InboxPounds About – Final thoughts! InboxPounds is the sister or brother (whichever way you look at it) of that other popular survey/rewards site InboxDollars and has been around since 2012. A rewards site that pays its members for taking surveys, answering emails, playing games and a host of other activities which we’ll get into a little further on. The website works on the premise that it links the advertisers with the consumers which in this case are the InboxPounds members. The advertisers who partner and pay InboxPounds UK for displaying links to products and or services, and for doing so InboxPounds pays the consumer, in this case, you the member for taking part in offers, surveys and other activities associated with the advertiser. For joining you receive £1 and an additional £0.50 for acknowledging the email sent out to complete registration along with setting up your profile. The amount paid for taking part in the surveys varies from £0.20 to around £1.50 and can take from a few minutes up to 30. Like all these survey/rewards sites there is money to be made but in small amounts, and therefore if you are thinking that this could be a great way to start earning online, and maybe replace your weekly job then you may find yourself a little disappointed. Obviously the more you put into this opportunity the more you will get out of it, but don’t expect to be filling in survey after survey because you will find yourself not qualifying for many, which is extremely annoying and very frustrating! The best way to earn with these sites is to introduce people you know through their referral program. Great if you have a big enough following, such as an email list or social media following, and there are various ways to promote this online opportunity and if you need a helping hand I will go into that a little later on. Many sites charge a fee whilst InboxPounds is 100% free. An email will be sent to you to complete the registration. This should only take a few minutes! Then once you are signed into the site you will be asked a number of questions (these are your demographics) which are important because your answers have a direct bearing on what type and how many surveys you will receive. 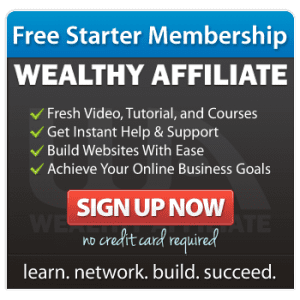 Like many of these sites they started primarily as a survey site and a few years back you could earn a decent amount, but over the years many similar sites have appeared and made it extremely difficult. Everybody is fighting for the same business and the way forward was to expand their websites and to add additional activities to keep you focused and stop you signing out. With InboxPounds surveys, they are the main source when it comes to earning money here at InboxPounds, but trying to get any momentum going will be difficult. Yes, there will be surveys available but typically what happens is that you will select a survey and several minutes into the survey you will be thrown out and told that you didn’t qualify. Take for instance the top survey for £1.50 and estimated time of 26 minutes, I spent 5 minutes filling in this survey only to be thrown out with the below message. Unfortunately, this happens a lot of the time! Competitions, with the chance to win £1,000s. Share your thoughts on what you watch on TV and listen to on the radio. Some of the offers will be 100% free but some will require your credit card details, and remember that if you do give your card details that there normally will be a trial period, and once that expires unless you have cancelled the offer, then you will be charged. Another way to make a few pennies would be to use the InboxPounds search bar instead of Google or Bing. We are always using Google so why not, just bear in mind that the most you can make on a daily basis are £0.70. The searches have to come naturally and the amount awarded is based on every 4 legitimate searches. Any earnings that aren’t natural will be deducted from your account with the possibility of getting banned. The more active you are the more frequent you will receive emails from Inbox Pounds UK. With a maximum of around 3-4 in any one day. All that is required of you is that you click on the Confirm PaidEmail™ which you can find at the bottom of the email. Any offers within the emails that you complete will also earn you more money. I know the amounts will be small but it all adds up, right? A great way to build your balance is through the InboxPounds referral program. This works best if you have a big enough following such as friends on social media, such as Instagram, Facebook, YouTube etc. 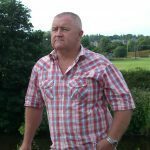 I have seen some interesting results from members and it pays to look at the many different ways of promoting such a program, from the basic methods such as emails through to more passive ways if you are interested? By getting others to join you can earn 10% of everything they earn and that is for life or until they decide to cancel their membership. You can register for World Winner Games which means a totally separate account to your InboxPounds account, and get between 1-4% of every £1 that it costs you for entry into one of the games, a little like the Casino sites that you see knocking about. Personally, I would stay away from this activity. The whole point of you even considering sites like InboxPounds UK is to earn yourself a little money and not give it away, right? Once you have reached the minimum threshold payment which is £20 then you are allowed to withdraw. You must agree that the most convenient payment method is PayPal, and that’s what most people online use and are happy with, but unfortunately, this is not available at InboxPounds. The only 2 methods are Check and Prepaid Mastercard and/or Merchant eCards. Checks are the only method of payment for members outside of the UK. Checks will take around 7 weeks to get processed, posted and cleared at your bank and when we are talking about £20 pounds is it really worth all the hassle. For countries outside of the UK, it would take longer but not only that you have to take into consideration the currency exchange rate too. Here we are and one of the most important sections of the review where you get to know all the good and the bad, well I’m sorry but there will be more bad than good here. With most make money opportunities they are free to join which is a plus here. This is a great way to earn money for doing nothing other than getting others to join and a way that many don’t capitalize on. To make some reasonable money you would really need to get 100’s or even 1000’s to join which is not as easy you may think. This is a major problem, not only with InboxPounds but many other similar sites where you end up wasting time on a survey only to be told several minutes into it that you didn’t qualify. Members are complaining that they never received their checks and when InboxPounds is confronted nobody seems to know why which leaves the member no alternative but to either ignore this and carry on or cancel their membership. I know what I would do, right? 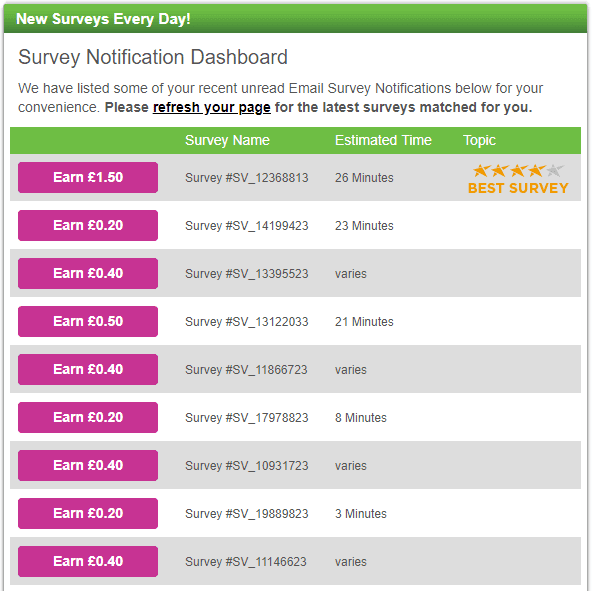 Can you really get paid £5 for surveys? I have been a member of InboxPounds for a while now and whilst I have earned small amounts, and I mean small amounts, I have never managed to hit a £5 survey. The most I have managed is £0.40 so I guess where they indicate £0.20 to £0.70 this is obviously in the right ball-park. Are these so-called offers really free? We all like free, right but how many times have you seen an offer that is 100% free? Many of the free offers require your credit card details, and when you hit the expiry trial offer period unless you have cancelled the offer then charges will apply. InboxPounds partners with advertisers who send out “Free Stuff” for your participation but to get this a charge will apply for shipping costs and postage, normally inflated. Many will suggest misrepresentation! The most popular way of handling payments online is through PayPal and everybody has come to accept this method. It’s quick and reliable which is what everybody wants. Checks are slow, they get lost in transit but not only that, they also take several business working days to clear when they reach your bank. People are asking the question, “is InboxPounds a scam”? A term that I don’t like, and I wouldn’t label this opportunity as such because it is 100% free and you can make some money although in small amounts. I wouldn’t recommend InboxPounds for many reasons which I have tried to highlight and at the end of the day the final decision is up to you. 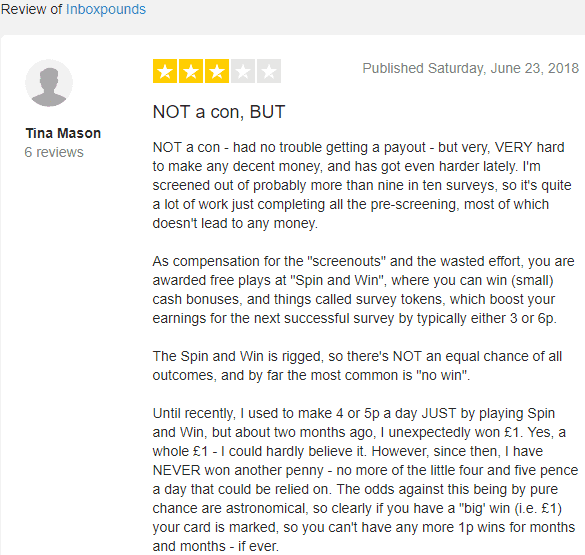 If you have just had enough of bouncing from one survey site to the other earning the pittance that they pay, and would like a totally fresh outlook, where you can turn the tables and be the “earner” just like InboxPounds, then check out this review and see what you think. This is also free to join and no credit card will be asked for and one more important thing, no upsells either! Thinking of joining InboxPounds? Are you a member? Had any bad experiences? What did you think about the review? Why not share and spread the word around to your friends? I’d love to hear your thoughts or maybe you have a question about InboxPounds or anything for that matter. All comments are welcome and I reply to them all. Very informative. I was not aware of this survey site. I have taken many surveys, but the payout was so low for the amount of time spent. As you pointed out, I often took them–and spent a lot of time on some of them–only to find out that I had been disqualified. I think it is wrong to have someone do so much work and not receive some compensation. After all, they did receive the answers submitted. It was a discouraging experience for me. Thank you for sharing this. I have tried several of these survey money making schemes. They always lead me to believe I will make money then a few questions and minutes of my time in to the process I am disqualified from the survey. They should really compensate you for the few minutes it takes just to be rejected. I am glad I found this review before I tried yet another unsuccessful survey plan. I think many of us have been down the survey site route in the past, I’m just glad I found a training platform that helped drag me away from them and learn how to make some real money. Thanks for your time, it’s much appreciated. Interesting article. I’ve never come across these kind of sites and would probably think twice before joining. Especially getting disqualified from a survey sounds frustrating and the money you potentially can make is too little to be worth my time. Thanks for increasing my knowledge! Hey Lotta, a little knowledge goes a long way. Thanks for your time, its much appreciated. Thanks for this thorough review Mick. I remember trying out a few survey sites a long time ago but found my email box inundated with junk so if I fill them out now, I only ever use an old email address that I hardly ever check. I’ve also had the issue of wanting to complete surveys but not qualifying which is frustrating. I think there are many better ways to spend your time online to make money really. Thanks for the ‘heads up’ on this. Hi Gail, With so many of these survey sites about it is extremely difficult to find 1 never mind several that are worthy of your time. Been there and left them all behind since I came across the training platform that I am currently working through. Thanks for your time, its much appreciated. I just read your review and I loved your honesty on the matter. As you do with all your posts, I love how you mentioned that you actually ” DON’T recommend it”, and I thank you for that. I used InboxPounds as well, and I know that what you are talking about is absolutely true. Thanks for sharing this with with your honesty, and not misinforming us. Hi Hekuran, I remember spending hours on the Internet a few years ago searching out ways to try and make a little money and joining survey site after survey site, and bringing back memories of when I had a paper round except the paper round was better paid. 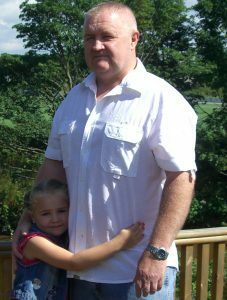 Time is precious and we take it for granted, that’s why I decided to try and find some training and the best thing I ever did. Thanks for your time, its much appreciated. Previous Previous post: What is Cashcrate About? Legit or One to Stay Away From? Next Next post: MySurvey Review 2018 – Used to be a Great Site, is it Now?